A smartphone’s audio capabilities can not only affect the quality of a phone call, but can also make or break one’s mobile entertainment experience. Which is exactly why Samsung has incorporated new and improved audio features, functions and controls into the Galaxy S8 and S8+. Find out more about them below. 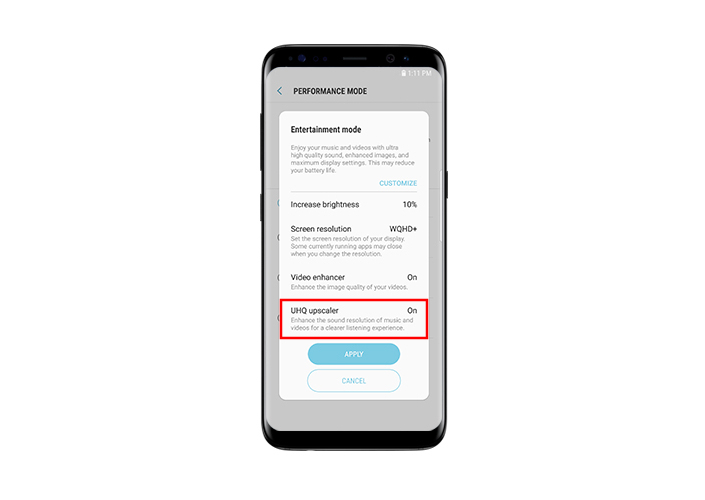 Recognizing the importance of audio technology, Samsung equipped the Galaxy S8 with Ultra High Quality (UHQ) Audio Playback capabilities with UHQ 32-bit and DSD support*. This, along with support for digital recordings up to 32 bit/384kHz, ensures that the smartphone can reproduce the full range of sound from recordings that have been mastered from better than CD quality music sources. 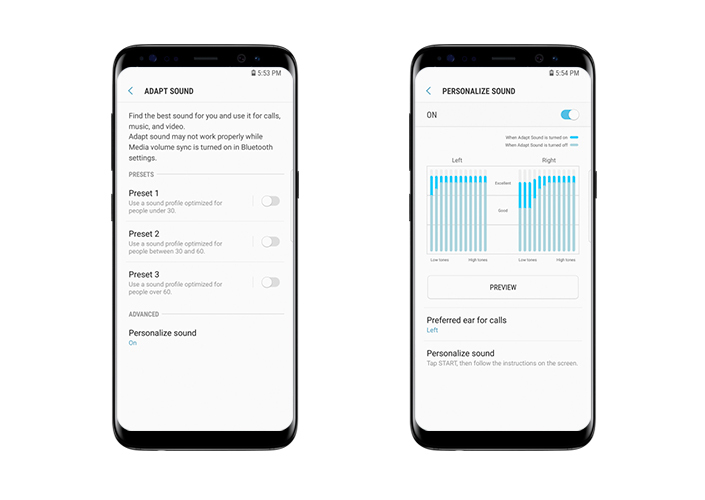 In other words, the Galaxy S8 does not downsample (or compress) audio files, so the user can experience music and sound much closer to the original recording. Recording quality, too, has also been improved thanks to the High Acoustic Overload Point (AOP) Mic that minimizes distortion in noisy environments. The all-new Dual Bluetooth Audio feature provides users with the facility to simultaneously stream audio to two sets of headphones or speakers, while also allowing them to control the volume of the outputs separately. 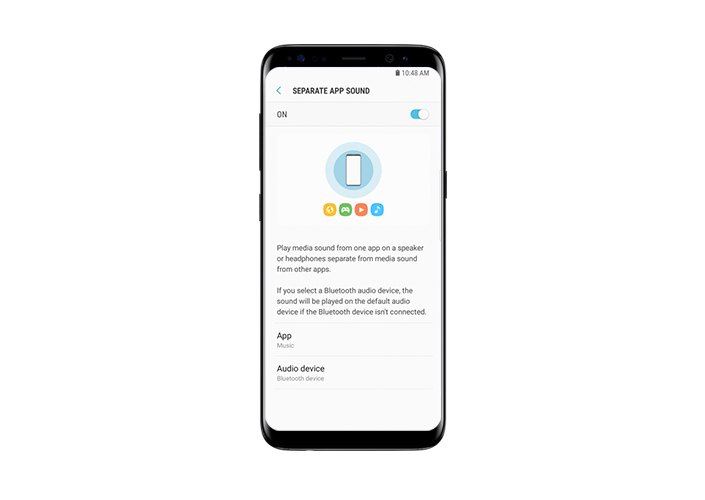 The new Separate app sound function permits users to simultaneously broadcast sounds from two individual apps using their Galaxy S8 smartphone and a separate device. This means that, for instance, a user may listen to GPS navigation via their Galaxy S8’s speaker while streaming music to their car’s Bluetooth audio system at the same time. The volume of the audio, meanwhile, can also be controlled independently. Users can select a preset profile according to their age, or opt to use the Advanced mode to test their hearing and find the best sound for them. 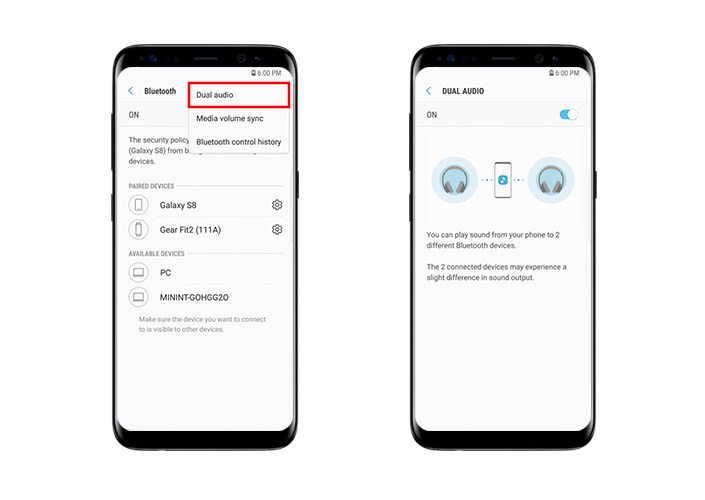 The Galaxy S8 will then automatically adjust the audio output for calls, music and video based on their specific needs so they can enjoy a truly tailor-made audio experience. 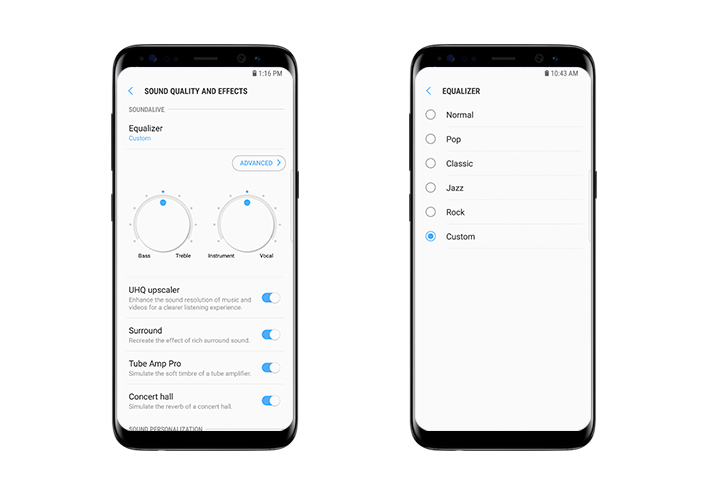 The latest Galaxy flagship is also backed by SoundAlive 4.1, a tool that gives the user the ultimate control over sound quality and effects. ** The tool features an easy-to-use, 9-band Equalizer with six pre-set options to tweak the phone’s audio; a UHQ Upscaler to enhance sound resolution; and Surround, Tube Amp Pro and Concert hall effects. There’s nothing worse than having to make or take a call in a noisy environment, such as a crowded café or heavily-trafficked street. 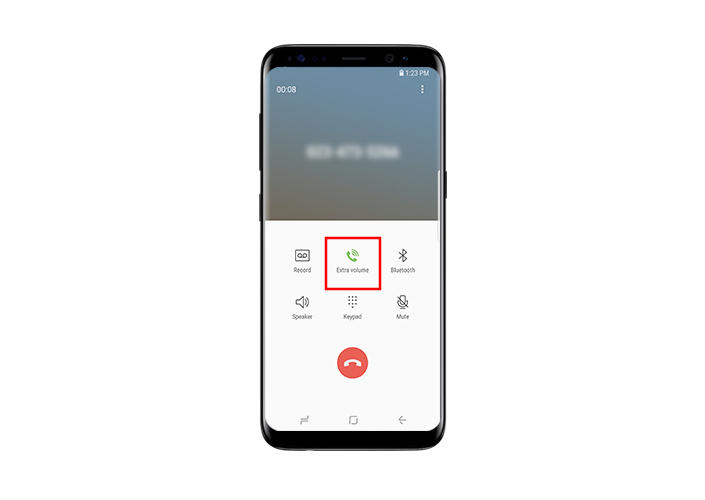 But the Galaxy S8’s Extra volume feature makes it possible to increase the call volume without sacrificing sound quality by simply tapping an icon, right from the call screen. 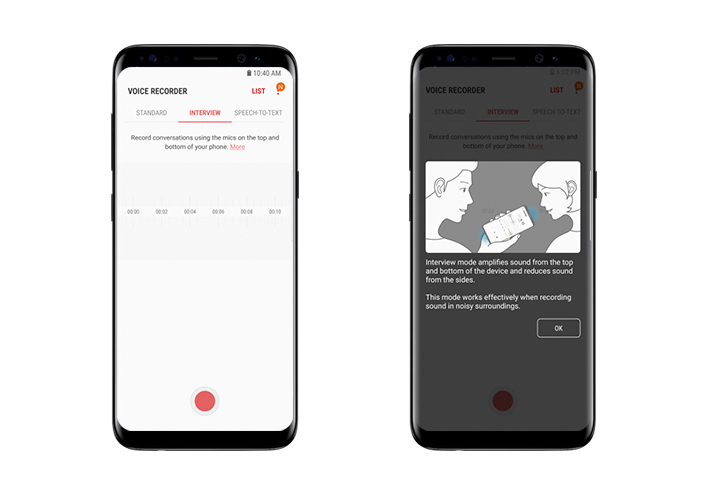 To better capture an interview using the Galaxy S8’s Voice Recorder app, users can activate Interview mode. In this mode, sounds near the top and bottom of the phone are amplified, while those closer to the sides are suppressed to ensure the voices of both the interviewer and interviewee are crisp and clear. To enhance the sound resolution of music and videos even further, users can activate the UHQ upscaler via the Entertainment Mode settings menu. For the Galaxy S8, Samsung worked with HARMAN to create AKG-tuned earphones that deliver pure, superior sound. Included as an in-box accessory, the new high-performance earphones have dual drivers — 11 and 8 millimeters — to offer uncompromised audio for unbeatable sound quality. In addition, the earphones have a comfortable hybrid canal fit for improved noise cancellation and are made from anti-tangle, metal-fabric material. *DSD64 and DSD128 playback may be limited depending on the file format. **Some features are only available when the device is connected to a pair of earphones.